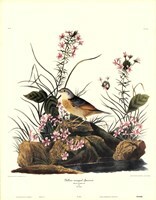 John Woodhouse Audubon (Born 1812) was born in Henderson, Kentucky. 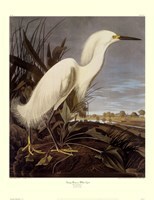 He was the second son of the naturalist/artist John James Audubon. He showed an artistic promise at an early age and his father encouraged him to join him (his father) in his scientific interests. John became an active traveler, a draftsman, as well as a collector of specimens. One day at the age of 33 he accompanied his father on an expedition to Labrador. This expedition influenced his art for the rest of his life. He came up with very beautiful drawings of birds that made his father to give that department of his duty up to him altogether. Both Audubon and his brother studied painting while their family was in London in 1834. He liked to make portraits and copies of art done by Esteban Bartolome Murillo and Sir Raeburn Henry. 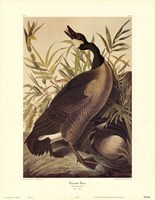 By this time his father’s projects had become family enterprises and Audubon decided to travel to Texas and Florida in 1837 on missions of collection. Nine years later, he returned to the Southwest with a mission of gathering specimens of birds as well as mammals. From 1839 to 1843 Audubon was primarily involved the production of the second version of his book titled “The Birds of America.” He worked with a lithographer and oversaw the reduction of more than 500 plates to their smaller size. He also painted in oil and oversaw the printing process of all of the plates. Both Audubon and his brother built homes in New York on the land surrounding their father’s house.